Welcome to the Outer Banks of North Carolina, one of the most treasured, unspoiled family beach retreats in the country. 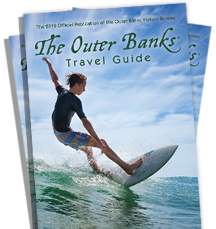 Whether you want to explore the tranquility of the migratory bird sanctuaries, enjoy our world-class fishing, water sports and beautiful golf courses, or simply spend some time playing in the waves with your kids, the Outer Banks is for you. Come and stay with Leslie's Vacation Rentals, where we represent a hand picked selection of properties, ranging from 2 bedroom ocean front condos to 8 bedroom vacation homes. Our company is based on a collaborative effort between homeowners who love and care for their homes and a group of qualified and dependable local professionals who ensure that our properties are well maintained and that your vacation will exceed your expectations.